Three birdies in his last six holes saw defending champion Graeme McDowell recover to card an opening level-par round of 71 at the RBC Heritage. McDowell started at the 10th hole at Hilton Head in South Carolina on Thursday and dropped shots at the 16th, 18th and third to lie three over par. However, a good finish rescued the day for 34-year-old McDowell who had missed the cut at the Masters last week. He is five behind leaders Matt Kuchar, Scott Langley and William McGirt. 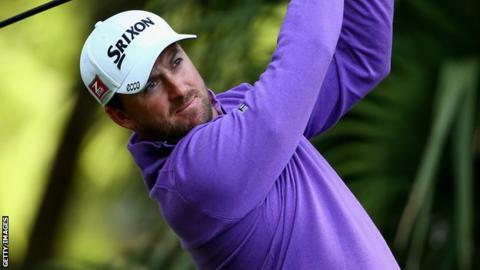 Last year McDowell arrived at this tournament on the back of missing the Masters cut, but the Northern Irishman came from four shots behind in the final round and beat Webb Simpson in a play-off. Twelve months on, the former US Open champion again suffered an early exit from the year's first major championship after rounds of 72 and 78 at Augusta National.